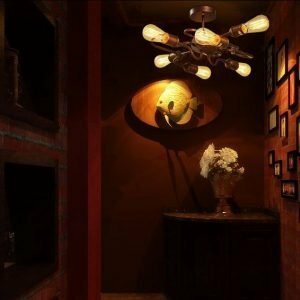 This circular flush mount fixture from the Basin series has an acrylic bottom diffuser for soft down lighting that makes cleaning this ceiling light easy. It used aluminum for the shade with brilliant lacquer white finish. The compact size makes this design ideal for smaller seating areas. 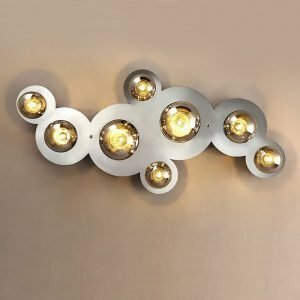 This flush mount ceiling light places a floating assembly of hand-blown glass bubbles below a simple modern stainless steel disc. Clear glass bubbles rain down from a chrome ceiling canopy for a captivating optical effect. Neatly structured strands support the clear glass while four lights shine down on the display from above. 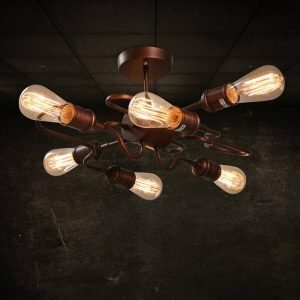 From the Bolla lighting collection. Constructed from acrylic and metal, this flush mount features a simple but artistic design to suit many today?s home decors. Soft lighting thanks to a white curved shade. White LED bulb on the interior offers generous illumination. 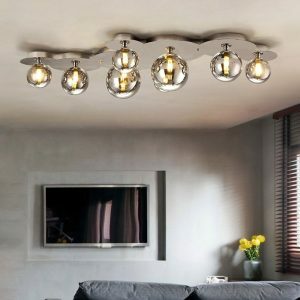 With its small size, it is portable and easy to mount into the ceiling without taking up much space.